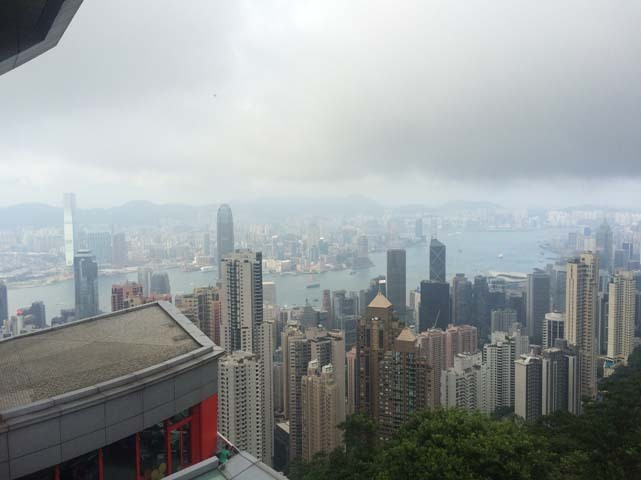 This is CampsAbroad’s third trip to Hong Kong, which is a Special Administrative Region (SAR) of the nation of China. 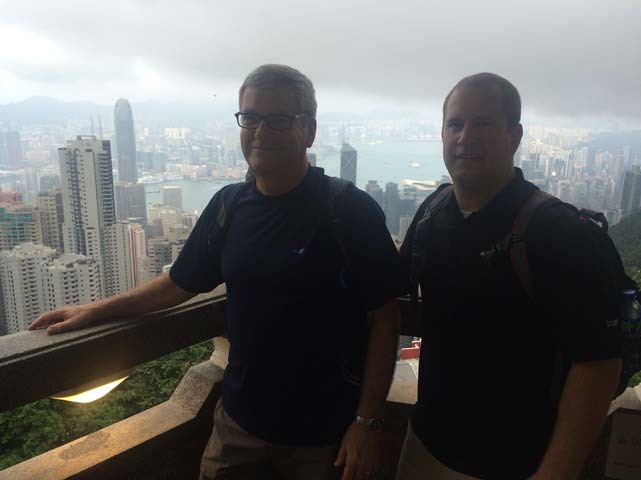 Chris Lynch and I, along with former summer staff members Jeff & Kimberly Carlson, who live and minister in Hong Kong, have been conducting the staff training in this massive city before we move to the campsite in a more remote region. Remote is a little bit of a misnomer in Hong Kong! This is convenient for all of the staff members who live in HK because of the extensive and efficient city and region-wide public transit system. 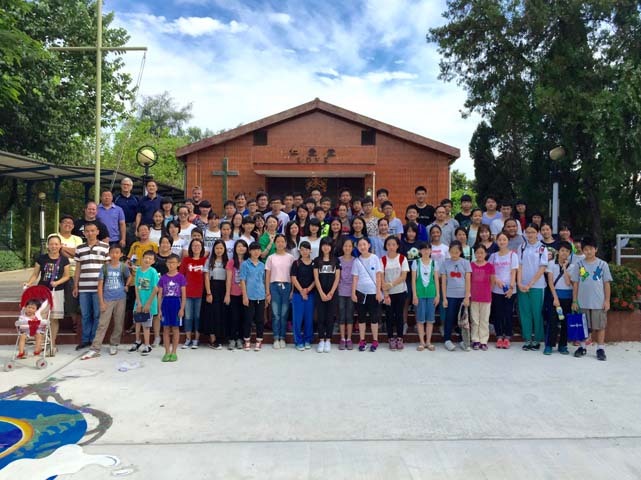 We have a very young staff here, but we know God is going to give them (and us) much grace as the camp begins. It has been so interesting to feel the “hum” of a city of 7 million people. We had a shock on Saturday evening seeing busload after busload of people coming into our quaint, intimate little city. Our hosts tell us the population swells on the weekends as thousands of thousands from the mainland come to Hong Kong to purchase goods. Incredible! The weather has been in the high 80’s with mostly overcast, rainy skies. 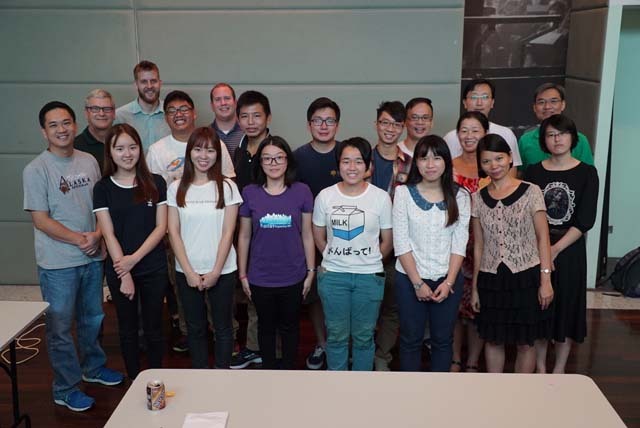 We have about 10 counselors from the mainland and 10 from Hong Kong. We are expecting 80-90 campers, including 30 or so from the mainland. Please pray for Chris and I as we do many of the services and pray for grace for the translators. They have to think for two people! We will have a number of unsaved at camp, it appears. We found out in the last couple of days that about 10 campers coming from the mainland speak only Mandarin. All of the people in the Hong Kong region speak Cantonese and, yes, there is a huge difference. We’re trying to figure out the best way to manage our services being “double translated.” All of these things seem to be just a “day in the life” of the opportunities presenting themselves in a CampsAbroad experience and we are so excited to be here and minister with these wonderful Christians who battle through the same things we all do in their journey to be like Christ. The Staff Training went smoothly. 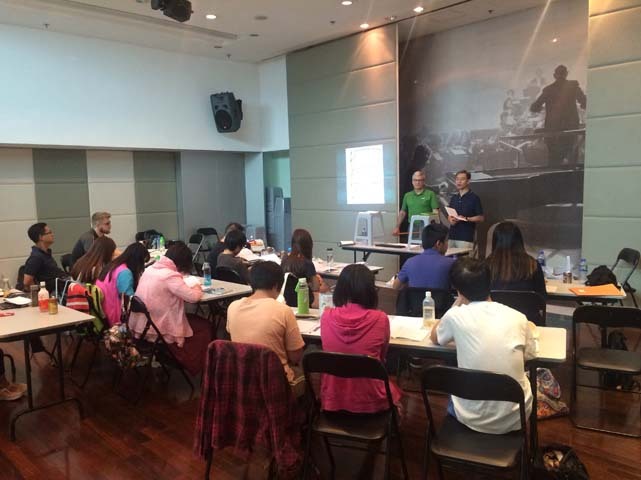 We trained 16 people in a Club House owned by a high rise conglomerate in Hong Kong. We had no returning counselors with counseling experience from the previous year, but all ten of the brand new counselors have come on strong at camp. They are a quieter group, but there is growth there. Getting to the training site each morning required a rather intricate trip using the metro rail system, accessed with your very own “personalized” Octopus Card. The whole system is phenomenal. The Octopus, I suppose, gets its name from the many tentacles of the rail system. You can get anywhere in the huge city if you don’t mind riding with some of the 7 million people who ride, as well. You load and reload the Octopus Card and can ride the rails or buses, buy meals, snacks, groceries—virtually everything. We are finishing our week of camp on our campsite about 1 hour and 15 minutes from the city. The camp is owned by the Southern Baptist Convention. It’s an older facility, but it is reasonably complete. We are having a good time with the fact that the campsite staff decided to do all of their building and grounds repairs during our week of camp! We are not able to use the ballfield because it is being replanted. The activities (low ropes courses, swimming pool and main building entrances) are all under repair. They also change our meeting rooms for almost each service and activity, so it’s kind of like a scavenger hunt for the kids to find out where we are meeting! We thought about making it a team activity. We were quite surprised and pleased to have some air conditioning, hot water and a fridge in our room complex. We are blessed. The heat index is right up there in the mid-90’s. The 60 young people come from area Hong Kong churches and about 14 more teens come from Mainland China. Eight of the Chinese kids speak only Mandarin, unlike the Hong Kong area kids who speak Cantonese. Chris and I have alternated speaking to the large group and the small group through interpreters, meaning we repeat our messages twice daily. This has stretched the interpreters. They have the hard job. I have especially enjoyed meeting with the Mainland kids each evening. In that group is a beautiful, brother/sister combo. Seeing the girl of 14, you know where they came up with the concept of “china doll.” We have a boy, probably 12 or 13 who is badly deformed and twisted, but he is “all in.” The kids take care of him and he seems to have a great spirit. It takes him a long time to get from place to place, but he makes it. We also have a grad student who is pursuing an advanced degree in science in Beijing. Her very bright mind has been overwhelmed with atheistic science, though her parents are believers. We are praying for her. It’s a diverse group, for sure, but each one is precious. It is amazing to see these Hong Kongers work together wish such diligence. Pastor Cedric Wong, his secretary, Cindy, and his assistant, Jeff Carlson, run the program. From sister churches in the area are assistant pastors Matt Conrad and Jonathan Johnson, who have been tremendous supporters this week. 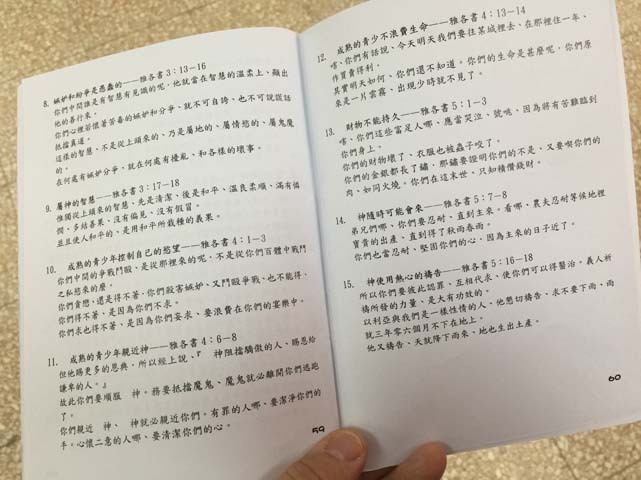 Pastor Lewis Kong has helped us with translation and administration. This group wants to win a very bright generation of young people to Christ and see them live vibrant lives for Him. This kind of hard work and sacrifice is becoming apparent all over this dark world! This is CampsAbroad at its best!